St. Louis’ own Brick River Cider is now available! These craft hard ciders are made from fresh Midwestern fruit – never concentrate. Our Cider Maker’s take on dry rose. Tart and complex, with Michigan Montmorency sour cherries and hibiscus tea blend. The city market represents a place where chefs and home cooks come together to show and taste the best flavors in the region. Our brewing team captured this spirit in City Market Cider, our first ever cider release. This local blend combines juice from Jonathan and Fuji apples sourced directly from Sibley Orchard & Cider Mill in Sibley, Missouri. 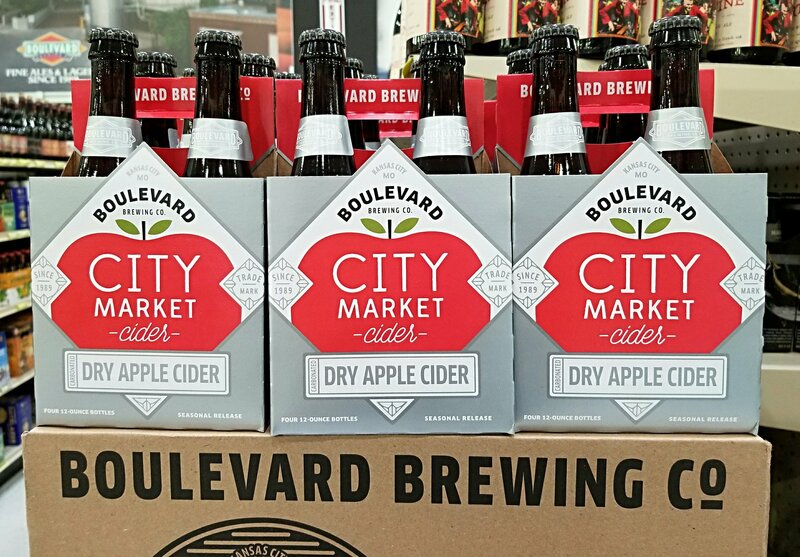 City Market Cider is fermented with our house English ale yeast strain resulting in a crisp, dry cider with just a touch of sweetness contributed by juice held back for blending. Strawberry Lime, Passionfruit, Mango Raspberry, Pear, and Wild Berries ciders are now available. TASTING NOTES: Our Heirloom blend places acidity front and center, featuring Newtown Pippin, Gravenstein, and Espopus Spitzenberg apples, in addition to ten varieties of French and English cider apples grown at the WSU Extension Campus in Mount Vernon. Delicate, tart and perfectly nuanced, this unique cider begins with soft aromas of peach and black cherry. A mild dryness on the tongue carries with it notes of tangerine, cantaloupe, black cherry, sweet lime and tart green apple. Nitro IPA, Nitro Coffee Stout, and Nitro White Ale. 4 packs of 16 ounce cans. Cider aged on cherries, orange peel, and bourbon barrels. Cider with apple, pear, cardamom, aged on white oak.